Home Health Treatment & Therapy Floortime for Autism winner! A couple of weeks ago I featured an article about Floortime therapy for autism. See the post here. We ran a competition for a free ticket and the winner is: Sarah Selby-Bird. Congrats, and I will forward your email to Jake who can arrange the ticket for you! 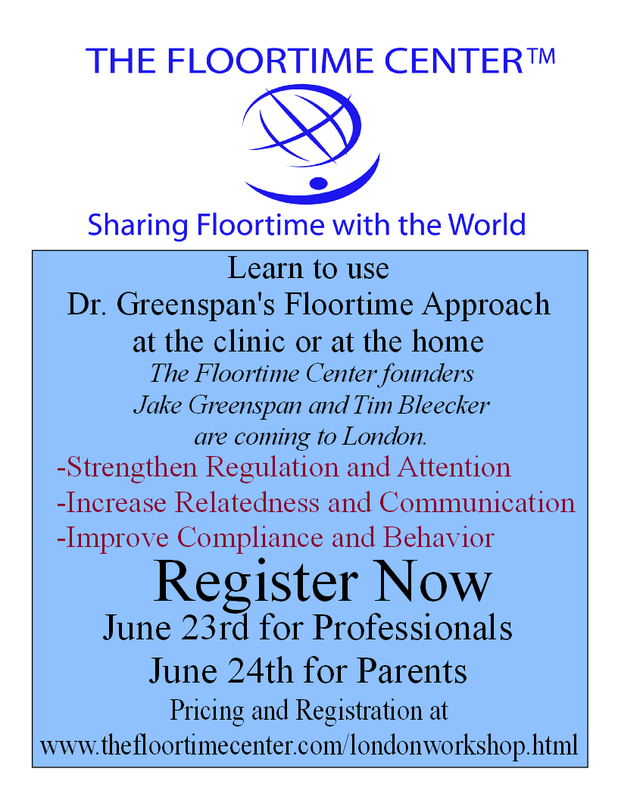 The premise of Floortime is that an adult can help a child expand his circles of communication by meeting him at his developmental level and building on his strengths. Therapy is often incorporated into play activities – on the floor. Join the workshop on the 23rd or the 24th June at Morris Lecture Theatre, St. Bartholomew Hospital London. Please visit their website at this link for information on research, pricing, and registration.